In this chapter the complex systems are discussed in the context of economic and business policy and decision making. It will be showed and motivated that social systems are typically chaotic, non-linear and/or non-equilibrium and therefore complex systems. It is discussed that the rapid change in global consumer behaviour is underway, that further increases the complexity in business and management. For policy making under complexity, following principles are offered: openness and international competition, tolerance and variety of ideas, self-reliability and low dependence on external help. 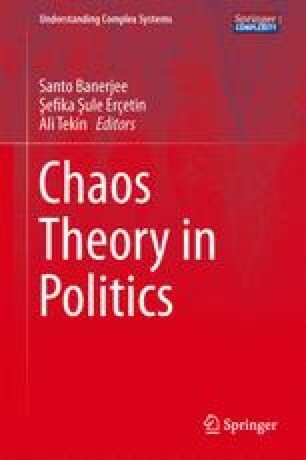 The chapter contains four applications that build on the theoretical motivation of complexity in social systems. The first application demonstrates that small economies have good prospects to gain from the global processes underway, if they can demonstrate production flexibility, reliable business ethics and good risk management. The second application elaborates on and discusses the opportunities and challenges in decision making under complexity from macro and micro economic perspective. In this environment, the challenges for corporate management are being also permanently changed: the balance between short term noise and long term chaos whose attractor includes customers, shareholders and employees must be found. The emergence of chaos in economic relationships is demonstrated by a simple system of differential equations that relate the stakeholders described above. The chapter concludes with two financial applications: about debt and risk management. The non-equilibrium economic establishment leads to additional problems by using excessive borrowing; unexpected downturns in economy can more easily kill companies. Finally, the demand for quantitative improvements in risk management is postulated. Development of the financial markets has triggered non-linearity to spike in prices of various production articles such as agricultural and other commodities that has added market risk management to the business model of many companies. This contribution was written in the 2nd Ph.D. School of “Mathematical modelling of complex systems” in Pescara, Italy in July 2012. Author would like to thank all of the attending students and professors for fruitful discussion; and especially Professors. G.I. Bischi and T. Bountis. Author would also like to thank Prof. J. Engelbrecht and Dr J. Kalda from Institute of Cybernetics at Tallinn University of Technology for fruitful discussions. The support of Estonian Science Foundation (Grant ETF7909) supported by the EU through the European Regional Development Fund is highly appreciated. Caldarelli, G., Cristelli, M., Gabrielli, A., Pietronero, L., Scala, A., & Tacchella, A. (2012). A network analysis of countries’ export flows: Firm grounds for the building blocks of the economy. Available via arxiv.org, http://arxiv.org/abs/1108.2590. Cited 25 Dec 2012. Ford, H. Quoted in Wikiquote.org, http://en.wikiquote.org/wiki/Henry_Ford. Cited 18 Jan 2013. The Economist. (2012). A third industrial revolution, editorial in April 21st 2012 issue. http://www.economist.com/node/21552901. Cited 25 Dec 2012.